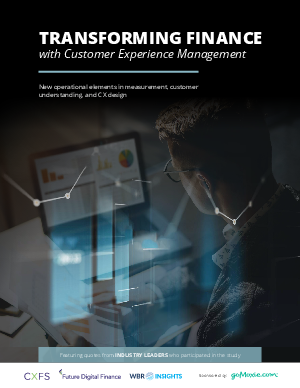 Download this report for an in-depth analysis of trends in customer experience management strategies for financial services companies. The study was developed using independent research and survey responses from 100 senior-level leaders across marketing, customer experience management, analytics, digital strategy, and innovation roles. After identifying key market stressors, the report analyzes the five key drivers of successful customer engagement: Customer Understanding, Prioritization, Design, Measurement, and Culture.